There will be Tears Tonight! Tonight, the 24 November at The Francis Bardsley Academy Havering Concert Orchestra’s will perform the last concert under the baton of Bill Brooks, who is retiring after a lifetime of service to music in Havering. How do you do justice to a man who has devoted his life to music in Havering. 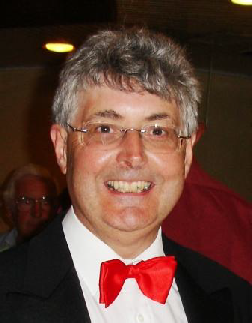 Bill’s first conducting role was to conduct the School Percussion Band at the Hornchurch Infant Schools Music Festival. He was 7. At 69 he is conducting the HCO for the last time. He has been our conductor for the last 13 years and before that was a cellist with the Orchestra. You will find more details in our Programme available this evening. Bill is a conductor, a cellist, a teacher, a mentor, a ‘Barber Shop’ singer and a wonderful person. He has devoted huge amounts of time to the Royal School of Church Music (Essex and East London Area) and to the Bishops’ Chorister Award, and to music at Hornchurch’s St Andrews Church. In the orchestra today there are three cellists who were taught by Bill, one was eight when her lessons started. Several where taught their orchestral skills in the Hornchurch Youth Training Orchestra when Bill conducted (1981 to 1992). One of these, travels 70 miles each week to attend rehearsals and says – “As I write this with a lump in my throat, I cannot imagine rehearsals without his encouragement, warm sense of humour and laughter”. You will forgive me if I drop into the first person on this very special posting. I took up the cello aged 56 with no musical background. I had bought a cello – but how to play it. I asked a local music shop for anyone who could teach me. “Well there’s Bill Brooks but I think he is retired”. I phoned and well Bill gave up his Tuesday evenings and that was over 12 years ago! Each of us has a story like that. So come and join us on this very special occasion. Previous PostPrevious William Brooks’ Last Symphony.